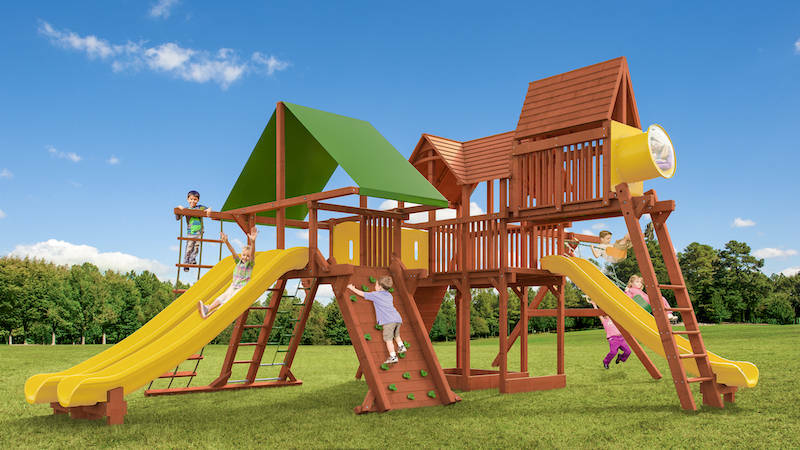 Super-fast racing slides make this Megaset a thrilling adventure for children of all ages. 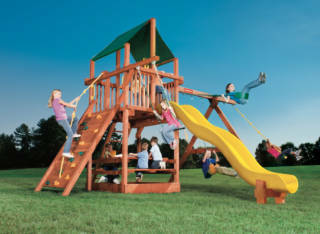 A crawl tunnel connects two bases for a fun way to get from here-to-there or a great hide-out when playing hide-and-seek. 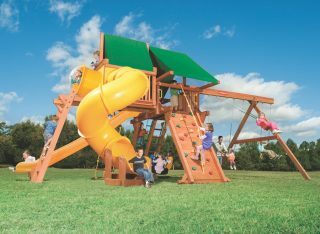 This Megaset combines the Outback and Playhouse XL bases for exciting climbing features and space for a picnic table or sandbox.